On any given show, there are some episodes that simply belong to a character. Plenty of chapters feature one member of the cast or focus on a single character, but when great writing meets a measured, powerful performance, it’s a real pleasure to watch. This season’s fifth episode, “Internment” (we’re working our way through the “In-” words) wholly belonged to Hershel in a way that I suspect viewers — depending on how they feel about the character — either loved or hated. Some see him as a wise elder statesman who has helped hold people together through the toughest of times. Others see him as an annoying quack who never misses an opportunity to lecture whoever is in the same room. I hope last night’s episode changes the minds of some of the Hershel-haters out there. 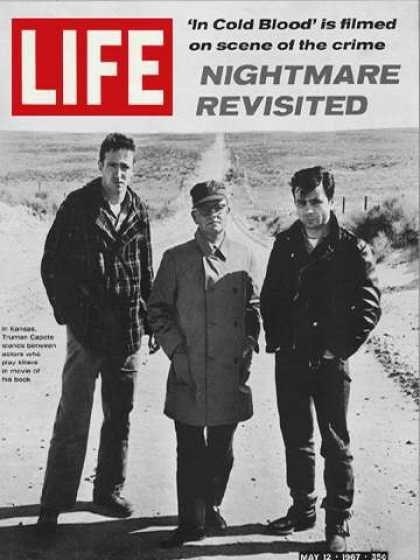 Scott Wilson is a fine actor with a long history of good performances going back to the film version of Truman Capote’s In Cold Blood, which landed him on the cover of Life magazine when he was just 24 years old. It’s easy to blame the writers, but I’ve often thought that Hershel’s more preachy scenes were throwaway additions to give the show some emotional heft. Last night, they stepped up and delivered a script that allowed story, character and performance to come together in one of the most powerful episodes in some time. “Internment” wasn’t the most cinematic episode, but that’s the point. It’s a little too easy to think of the sick people as prisoners (our current home is a prison and everyone sleeps in cells); instead, it’s helpful to think of Hershel and his patients as people living in quarantine. Throughout history, when a city faced an outbreak of a sickness or plague, authorities tried to confine the sick and dying in one area. Even as others fled, brave doctors, nurses and members of the clergy stayed behind to tend to the unfortunate souls in the infected area. Hershel’s belief that he must try and save who he can isn’t lunacy; it’s the ultimate duty he feels as a man of medicine. What was most impressive about the episode was how it allowed Hershel – a character we’ve known for a while, who we’ve seen struggle through grief by falling off the wagon, getting bitten and losing a leg – to display strong character development. Even more remarkable, it happened in the span of one short scene. We learned from Glenn that Hershel had never before been forced to dispatch someone about to turn into a walker, but after one of his patients expired, Hershel had to do the ghastly deed himself. After wheeling the dead man into another room, Hershel pulled the sheet over the patient’s face before stabbing him through the skull. The scene — shot simply with properly atmospheric music — was powerful and effective. For a such a wise old man who seems most content when he’s giving other people advice, it was a moment of vulnerability in a character I’d written off for being able to offer any more surprises. Hershel explained to Rick that he labored so tirelessly to keep the dead away from the living because fear is a contagious condition. The quote he rattled off (Hershel always has a quote in his hip pocket) is a good one: “A sad soul can kill you quicker, far quicker, than a germ,” from John Steinbeck’s Travels with Charley. That sentiment will be important in the future, not to contain grief or despair, but terror and panic. With medicine from the veterinary college, we can assume that the we’ve seen the last of this mysterious plague, but the episode’s final shot brought a much more ominous danger we knew we’d see eventually: The Governor, calmly watching the prison, waiting for the right moment. Thanks to Hershel’s heroics, many survived the biggest existential threat to the group yet — but another, larger one is lurking just on the edge of the woods. Zombie-Kill Report: Yet another episode where we had dozens upon dozens of zombie kills, thanks largely to the collapse of the outer fence where Rick and Carl had to take up arms against a giant horde of walkers. Perhaps our most absurd moment came when Hershel had climbed out onto a wire-mesh canopy to try and rescue a ventilator bag he would need to save Glenn’s life. Maggie managed to shoot the walker in the head, — against Hershel’s cries of “You might hit the bag!” Why wasn’t he worried she might hit him? The entire exchange was patently ridiculous, but it wasn’t enough to ruin the episode. The Great Allegories: In a recent interview, legendary filmmaker George A. Romero, who basically invented the zombie genre with 1968’s Night of the Living Dead, said that he’s not a fan of The Walking Dead. “I always used the zombie as a character for satire or a political criticism,” Romero told Britain’s The Big Issue, “and I find that missing in what’s happening now.” Romero’s films always used, and continue to use, zombies for political allegory, and he’s right that TWD falls far short in that arena. But the show has used the zombie apocalypse to explore personal and relationship allegories. One recent allegorical exploration has been the relationship between Rick and Carl, a father and his son in teenage years, where Rick struggles as a single father to keep his son out of trouble. This season, Rick’s task has been to give Carl some semblance of a childhood (most significantly, trying to keep him away from guns). That effort imploded when the fence fell and Rick and Carl had to exterminate the entire horde. But in the end, Carl appears to be fine; they even started farming together again. The End of the Beginning: “Internment” ended much like this season began, with Rick stumbling into the early-morning light, splashing water on his face and heading out to tend his crops. Much has happened as a result of the plague — Carol is gone, and Rick learned he needs to step up and help run the joint — but any new sense of equilibrium will probably be shattered by what happened next: Hershel telling Daryl to go see Rick about Carol, and of course, the reappearance of The Governor. Rick and Daryl have an interesting relationship, and I’d like to see what happens when Daryl finds out Rick basically banished Carol. But no inter-character squabbling will compare to the chaos that’s likely to accompany The Governor’s return. As Promised… A couple of readers correctly identified the actor egging on Mel Gibson in the famous Lethal Weapon 2 straight jacket scene as none other than a young Dean Norris with only slightly more hair. Norris, of course, played the pivotal role of Hank Schrader in Breaking Bad.